I returned Back to Koriyama City today. The route was R4. 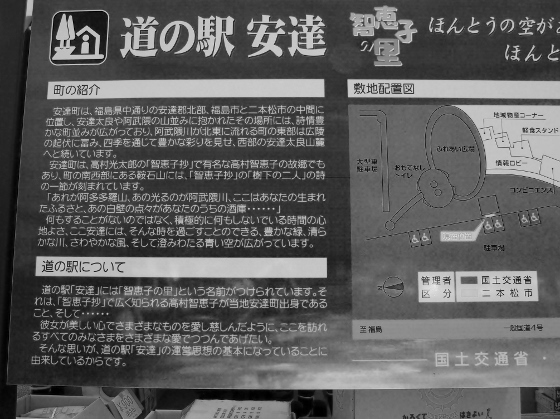 Since Fukushima City lied in the basin, there was a long lasting ascend pedaling out of southern area of Fukushima City. GPS logged map was shown below. 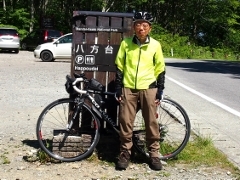 I stopped for some rest at the Road Station "Adachi", which was located in Adachi area of Nihonmatsu City. 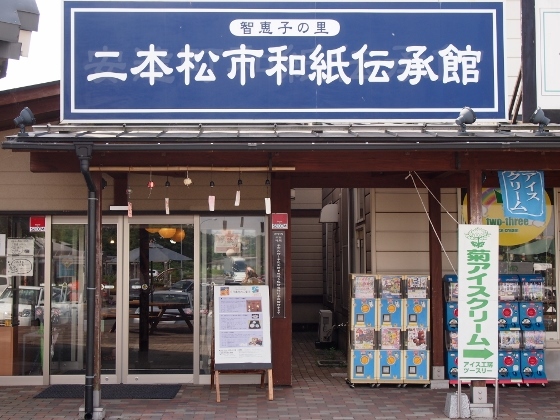 The first picture explains the "Adachi", and the second picture shows special shop for traditional Japanese paper from Nihonmatsu City. 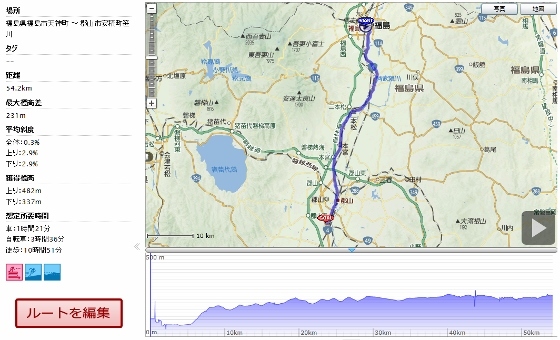 Just after entering Koriyama City, where the R4 was divided to main and bypass, rear tire of my bike became flat. I moved to under a tree and changed the flat tube to spare tube, pumped the air, checked the pressure, and restarted. Today, I stayed again at Gekkou Onsen Kurheim the same as August 20. This lodge was reliable and reasonable for bike tourists as a relay stay.